Soon after Thunderbirds blasted onto British television screens in 1965, fans could read the adventures of International Rescue in TV Century 21, a weekly comic devoted to science fiction television series. 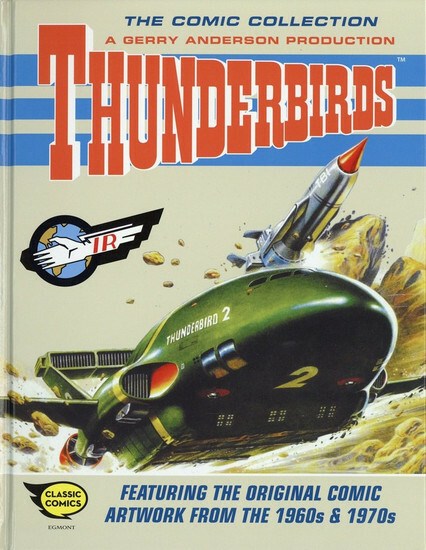 This compilation presents around 30 strips and 'Technical Data' cutaways from the 1960s and 1970s, with the original Thunderbirds and Lady Penelope artwork created by leading British comic artists including Frank Bellamy, John Cooper and Graham Bleathman. 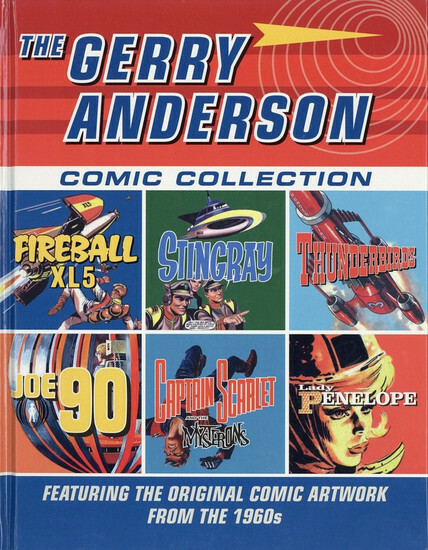 Gerry Anderson (1929-2012) is fondly remembered for the 'Supermarionation' puppet series of the 1960s including Fireball XL5, Stingray, Captain Scarlet and, of course, Thunderbirds. The vintage strips reprinted in this lavish collection capture all of the excitement of the original programmes, and make full use of the unlimited special-effects budgets provided by acclaimed artists such as Frank Bellamy and Keith Watson, both known for Dan Dare, and Wulf the Briton's Ron Embleton. Robert Louis Stevenson's spellbinding tale of adventure, murder and revenge has all the elements of a great graphic novel, so it is no surprise that Edinburgh's Unesco City of Literature Trust turned to veterans of the strip Judge Dredd to effect this translation. Tight, dramatic, atmospherically coloured panels and terse dialogue bring the action vividly to life. 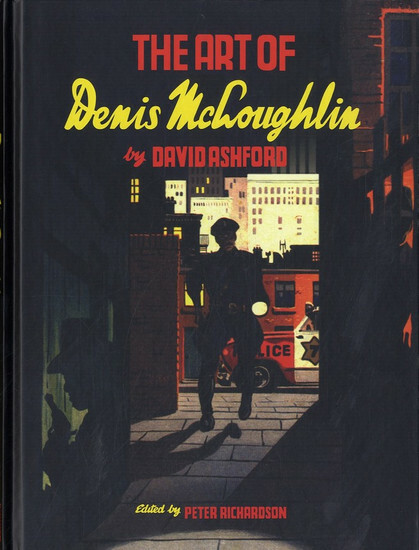 The handsome, slip-cased two-volume set includes both the graphic novel and a fascinating account of its creation, including original scripts and storyboards. A two volume slip cased edition individually SIGNED and NUMBERED by Alan Grant and Cam Kennedy from a strictly limited edition of 500 copies. 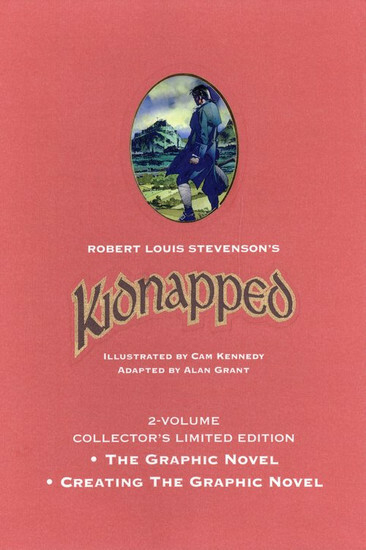 Robert Louis Stevenson's Kidnapped is an epic story of adventure, friendship, murder and revenge! Adapted by world-famous comicbook veterans Alan Grant and Cam Kennedy to vividly bring to life the thrilling story of David Balfour's dramatic journey across Scotland to claim his rightful inheritance. This two-volume slipcased set contains the titles Kidnapped and Creating the Graphic Novel and is produced as a limited print run of 500 copies. Volume 1 is a new hardback edition of the Kidnapped graphic novel which was first published in 2007. This special edition has a frontispiece numbered and signed by Alan Grant and Cam Kennedy, printed endpapers, a ribbon bookmark and is quarter-bound in cloth. Volume 2 is a hardback specially created for this set 'Creating the Graphic Novel', is illustrated throughout, and reveals the process of the creation of Grant and Kennedy's Kidnapped, with interviews, commentary, pencil drawings, preparatory sketches and detailed studies of individual elements. Alan Grant reveals how he painstakingly distilled Stevenson's classic tale into just 64 pages. This volume also shows how Cam Kennedy works, from his first visions of a scene, experiments with colour, historical and costume research and first pencil sketches, through to final inking and colouring. You'll also find exclusive pictures and never-before-seen material in this desirable collectors' edition. Each volume 64 pages.